How Far is Shravanthi Pristine? 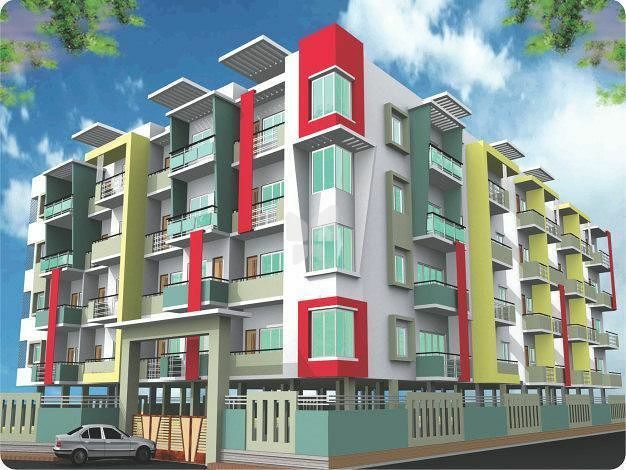 Shravanthi Pristine is a residential development by Shravanthi Shelters. The project has a thoughtful design and is well equipped with all the modern day amenities as well as basic facilities. 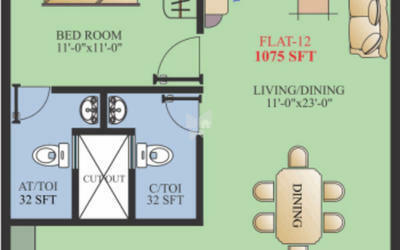 It offers 1, 2, 3 and 4 BHK apartments. Teak-wood door frame with threshold for main door. Attractive teak finish flush door with melamine polish. All other door frames in Hard wood. Bedroom door shutters shall be commercial flush door with enamel Paint. Brass hardware for main door & brush-steel tabular lock for all other flush door of powder coated. Living room will be provided with aluminum powder-coated window & separate door for balcony. All windows shall be sliding, made of aluminum, powder-coated (two tracks). L-shaped/parallel black granite kitchen platform with stainless steel sink with drain board. 2' dado above granite kitchen platform area in 8"x12" ceramic glazed tiles, loft for storage on two side wall in kitchen. All internal wall smoothly plastered with lime rendering. One TV point in the living room & in Master bedroom. Elegant Electrical switches Anchor Lisha or Similar, for safety one Earth Leakage circuit Breaker (ELCB) for the building. One Miniature circuit Breaker (MCB) is provided at the main distribution box within each flat. Telephone points in main bedrooms & Living area. Fire resistant electrical wires of Finolex / Anchor make of equivalent. Ceramic glazed tiles dado up to 7’0” height. Hot & cold mixer unit of ISI make or equivalent for shower in all the toilets. Shravanthi group is synonymous with prosperity, wonderful new beginnings in life, and the flow of love and energy through a home. With over 50 projects completed, spanning over an area of 2 million sqft. Shravanthi Group has made its mark as a pioneer in construction and development across South Bangalore. Since our birth in 1991, we have spearheaded numerous projects, offering quality residential homes and commercial complexes in the prime locations of South Bangalore. Not only do we excel in crafting dream homes, we also construct ultra-modern hotels and commercial buildings that stand apart in terms of design and quality. Our projects offer you a world of conveniences with schools, colleges, IT parks and hospitals in close proximity to our locations. When you purchase a property at Shravanthi Group you are receiving a home that has been crafted meticulously, with attention to every minute detail. We go above and beyond in terms of construction, quality and excellence in order to ensure that your living space is nothing but the best.